Fiery Warpath has a total of four waves, each wave you have a set amount of mice that you need to defeat before moving to the next. Looking at the HUD (head-up display) below your statistics you can see icons of all the mice you need to defeat. These mice are divided into classes, by hovering over the icon it will shows you which class it belongs to and what power-type of trap they are weak against. The HUD also displays your current streak, which mouse are you making a streak on and which wave you are on. Streaks are achieved by catching the same class of mouse in consecutive hunts, without any misses or fail to attract. (Streak and progress in Fiery Warpath will not be affected if you leave and come back) Streaks are not easy to achieve, because all these other class of mouse will be attracted by you, however to focus attraction mainly on 1 class of mouse, charms from this area should be used. Go ahead and jump into the Charm Shoppe, charms here will increase your chance of attracting mice from a particular class. You may notice that these charms comes in two different strengths, normal and “super”. Normal charms can be purchased with Ionized Salt and some gold, and the “super” charms require Magic Essence to purchase. The difference between them is that Super Charms give a power bonus to the particular class of mice that it attracts. Note: 7 streaks+ is a little different, upon achieving a streak of 7 there is a chance of encountering the Gargantuamouse and it will end your streak. From this point on the higher streak you get the higher the chance of encountering the Gargantuamouse. However catching a Gargantuamouse will give you Flameshards, which are needed to craft the big 3 traps later on. Gargantuamouse is weak against dragonic traps, therefore it is recommended to use Ice Maiden to catch them. Due to Dragonic traps are not effective towards other mice in Fiery Warpath, the timing to switch to Ice Maiden is important. The Crimson Commander mouse – upon catching it, you will repel a few mice from all classes and the number you can repel is equal to the number of streak you are currently on. You will only repel 1 if you don’t have a streak. Note: Using Super Brie + to hunt in this area will increase the attration to Crimson Commanders, and decrease the attration to Caravan Guards. Now there should be enough info for you to repel these waves, so let’s get started! Wave 1 is the easiest to repel, where all the mice are weak against physical traps. Using charms for the warrior, scout and archer class will help you focus on one particular class, and they will help you achieve more streaks and speed up your progress. The total cost of the charm including the ionised salt is 800 gold and the total cost of each hunt including the Brie (200 gold) is 1,000 gold. While the mice here gives you an average of 4,000 gold, therefore you will still be profiting. The use of super charms instead of the normal charms will increase your correct attraction to a particular class of mice. Normal charms attract 85% correct class, while super charms attract 90% of the correct class with bonus to catch rate. (This applies to all other “waves”) Therefore consider using the super charms if you got the resources to do so. The crafting recipe of the super charms can be find at the end of Wave 2 of this guide. In wave 2 more power types appear with additional classes and they are weak against different power-types. 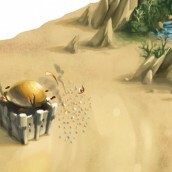 Collecting the drops from Sand Cavalry and Inferno Mage, you can craft the specific charms for these two classes of mice to increase the chance of achieving streaks on them. For an additional of power, you may use some Magic Essence to craft the following charms instead. In this wave another mouse decided to come join the fun, the Flame Ordnance mouse . This mouse is such a trouble maker, it’s part of a class that doesn’t have any charm corresponds to help streak them and it’s weak against Arcane. While Arcane is resisted by all the other mice in this wave. Therefore these mice should be repelled at the end. Basically repel all the warrior, scout and archer classes first. 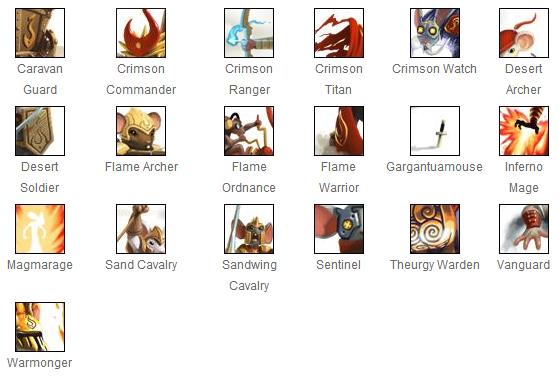 Follow by cavalry and mage classes and leave the Artillery last. At last you can meet the Warmonger, wait not yet! Warmonger is complete immune until you have defeat the 12 Theurgy Warden mice. The first time you caught the Warmonger, you will guarantee to get one of Oasis Bead, Sphynx Crystal or Sandblasted Metal as part of the loot. Upon catching the first Warmonger, you guarantee to get one of Oasis Bead, Sphynx Crystal or Sandblasted Metal as part of the loot. Base on what you got your path to get the big 3 traps will alter. So jump to the appropriate section base on what you got to check up the tips to start your journey to obtain your big 3 traps. If you obtained this on first run of Fiery Warpath, all I can say is bad luck. However the good news is most of the hunters will be in the same situation as you. The Oasis Bead will let you craft one of the most powerful Hydro trap, Oasis Water Node Trap. Use the following recipe to craft it. Crafting the OWNT or not is your choice as it makes almost no advantage towards getting your other 2 big trap loots. I would recommend you craft this last. Now you should priorities on getting your Sphynx Wrath, so before moving on, go for your 2nd run in Fiery Warpath. Next jump to our next section, Big 3 Hunt, to check out what to do next. If you obtained this as loot, you are pretty lucky. Using this you can craft the most powerful tactical trap Sphynx Wrath, use the below recipe to craft it. By using the Sphynx Wrath, it will help you on the Cavalry Classes during your FW runs. However it will still not speed up the run dramatically because majority of the mice in each wave are weak against physical. So the priority right now is getting your 2 Sandblasted Metal ASAP. With the Sphynx Wrath you have 2 choices that you can choose to do. Assuming you had already done your 2nd run in Fiery Warpath (go do it if you haven’t) and obtained your loot from Warmonger. There are 3 outcomes that differ your next path on the Big 3 Hunt. Click one of the outcome that you encountered and it will guide you to begin your big 3 Hunt. Well bad luck, but don’t worry we will get there! With this outcome you should head to Muridae Market and obtain the Sandtail Sentinel trap (2nd strongest physical trap yet) and Papyrus Base. They will significantly increase your progress on getting the big 3 traps. After obtaining the trap and base come back to Fiery Warpath and continue on hunting the Sandblasted Metal (SBM) or Sphynx Wrath. 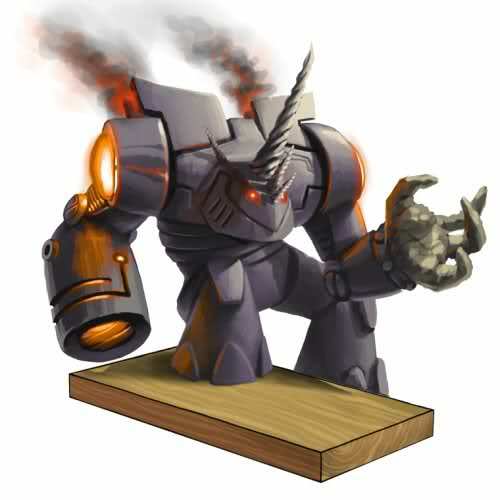 Eventually you will get your Sandstorm MonstroBot. Bleh! What you do next will depend what you got from your first hunt. If you already gotten an Oasis Bead, sell this one and the extra gold you got will help to get your Sandblasted Metal from the market. Either cases, after selling your Oasis Bead or kept it safely in your inventory head over to Muridae Market and obtain the Sandtail Sentinel trap (2nd strongest physical trap yet) and Papyrus Base. This is the best outcome for your 2nd Fiery Warpath run. What you would do is dependent on what you gotten on your first run. You had went for the Furoma runs and purchased 1 Sandblasted Metal from the market, and surprisingly you had obtained your 2nd Sandblasted Metal from your 2nd FW run! 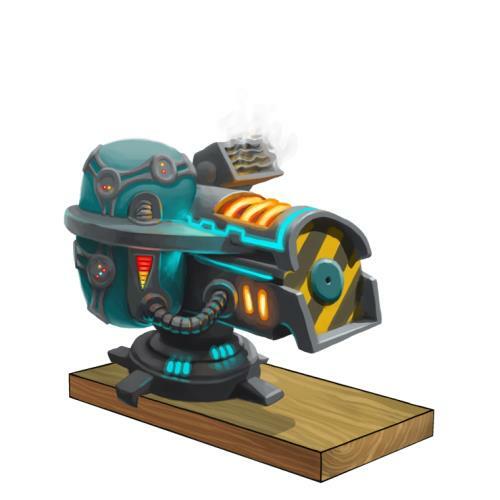 (YAY), jump to the bottom of this guide to check the recipe to craft the Sandstorm MonstroBot. After crafting that beast you are pretty much done with the Big 3 Hunt, all you left to do is continue hunting in Fiery Wrath and obtain your Oasis Bead. You had went for the Furoma runs and purchased 1 Sandblasted Metal fromt he market, and you obtained another Sphynx Crystal. What you do now is sell your Sphynx Crystal then head over to Muridae Market and obtain the Sandtail Sentinel trap (2nd strongest physical trap yet) and Papyrus Base. After that you can come back to Fiery Warpath to continue farming for your Sandblasted Metal. You skipped the Furoma run and surprisingly you had obtained your 1st Sandblasted Metal from 2nd FW run. In this case jump to the Sphynx Crystal section of this guide and craft your Sphynx Wrath then head over to Muridae Market and obtain the Sandtail Sentinel trap (2nd strongest physical trap yet) and Papyrus Base. After that you can come back to Fiery Warpath to continue farming for your Sandblasted Metal. You skipped the Furoma run and you obtained another Sphynx Crystal. Sell the crystal in the market and head over to Muridae Market and obtain the Sandtail Sentinel trap (2nd strongest physical trap yet) and Papyrus Base. After that you can come back to Fiery Warpath to continue farming for your Sandblasted Metal. Gotten Sphynx Crystal on 2nd run, now jump back to Sphynx Crystal section of the guide and use the recipe to craft the Sphynx Wrath then head over to Muridae Market and obtain the Sandtail Sentinel trap (2nd strongest physical trap yet) and Papyrus Base. After that you can come back to Fiery Warpath to continue farming for your Sandblasted Metal. Gotten Sandblasted Metal on 2nd run, sell your Sandblasted Metal in the market and purchase a Sphynx Crystal. Then jump over o the Sphynx Crystal section of the guide and craft the Sphynx Wrath. Next head over to Muridae Market and obtain the Sandtail Sentinel trap (2nd strongest physical trap yet) and Papyrus Base. After that you can come back to Fiery Warpath to continue farming for your Sandblasted Metal. If you priorities on gold save around 400 flameshards for crafting Sandstorm MonstroBot trap later and sell the rest in the market. Also can sell your Desert Horeseshoe and Heatproof Mage Cloth if gold is your main interest. Credits, some part of the guide is base on the guide provided by MKHAS in the forum. Special thanks to his every useful tips! Some advice on the Furoma run: Use kings credits to buy the tokens. This suggestion is now added, thanks. 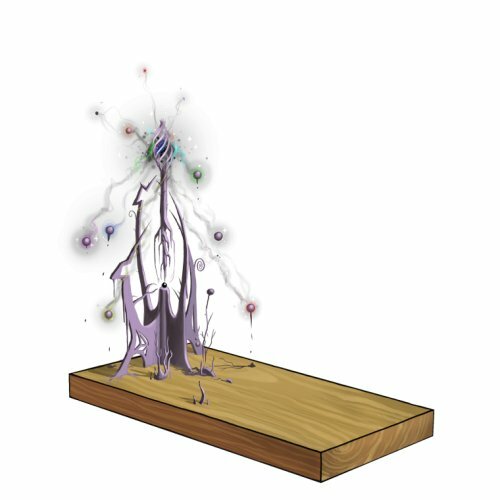 Enough if you use your most powerful trap instead of physical, it will be less effective than using a lower power but physical. So the answer is no. Use ERB. How come? According to the “Adversaries” tab in Mousehunt, the Warmonger mouse does not have any weakness since there are no writings on the VERY EFFECTIVE, EFFECTIVE, and LESS EFFECTIVE. If you ask me, I just trust the statistics, if you want strong proof, I compare ERB with SW, ERB has 10% catch rate and SW only have 5%. Trust me you don’t want to do that. I got a sandblasted metal from my first run, and now i have enough money to craft Sphynx Wrath even though i didnt sell the metal. Should i still sell the metal to get money for crafting the Oasis and Sandtail Sentinel? What charm can I use to catch Warmonger? I used Ultimate Luck for 1st run but got Oasis Bead. And for my 2nd run I really hope to get a loot, another Oasis Bead will still be fine. Should it be draconic insted of dragonic? 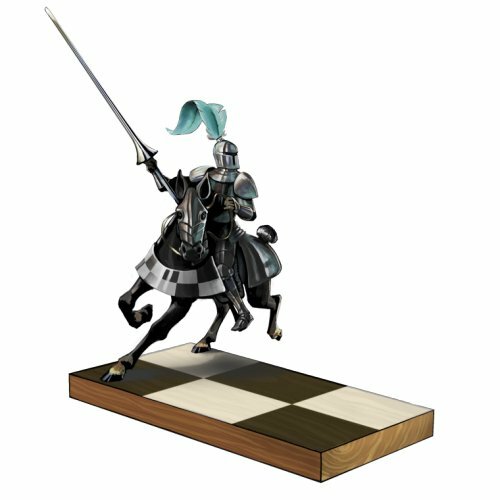 Which Tactical would you recommend for my first run, the Rewer’s Riposte or the Zugzwang’s First Move? You can’t? I can’t test it, because I don’t have it anymore. About the instructions for catching the Gargantua mouse – when you say “switch the trap at Streak 8”, does that mean *after* we’ve already caught 8 mice? Or do you mean after the 7th mouse, going on to the 8th? Can I ask where you got the data that says that you have a 20% chance of getting one of the three loots after your first Warpath run?